Rapinwax Paper operated in Frogtown for many years at 293 Como Av. The company made wax paper for food handling and food preservation. In the days before plastic wrap and resealable plastic food bags, wax paper was a staple in every kitchen and neighborhood grocery store. Dozens of neighborhood residents worked there in hot conditions. The paraffin wax had to be melted before it went into the paper sheets. 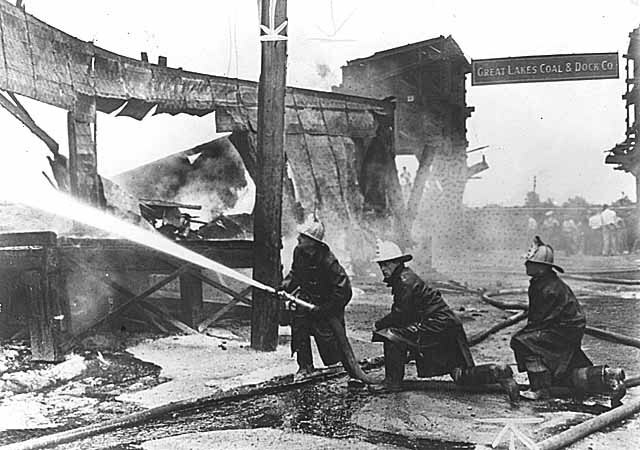 At 12:15 p.m. on June 15, 1936, during an intense summer heat wave, the St. Paul Fire Department responded to a call to Rapinwax. 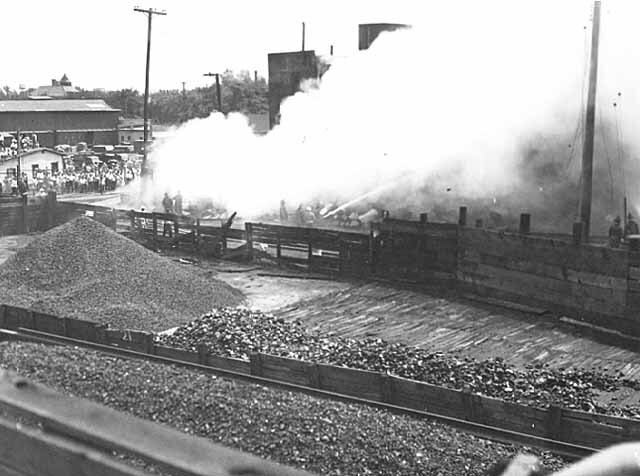 Flames broke out in the company’s 75 by 280-foot factory, where vats held two tons of wax. 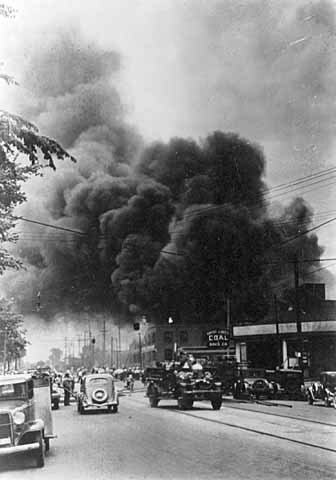 The factory, which was up to three stories tall in places, was engulfed in flames. Black smoke hung over the Frogtown neighborhood. It took an hour for crews to contain the blaze. But what many people would always remember was the flood of melted wax that flowed over sidewalks and grassy boulevards, down Como Avenue and onto a few adjacent streets. Wax coated every surface. The fire loss was more than $109,000. Firefighters and company officials had a very long and messy cleanup. Rapinwax is long gone but its main brick building at 293 Como Av. remains. 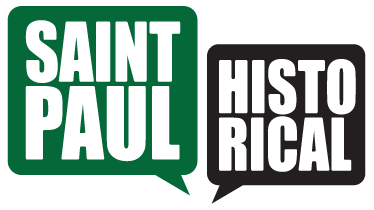 Jane McClure, “Rapinwax Paper Company,” Saint Paul Historical, accessed April 21, 2019, https://saintpaulhistorical.com/items/show/195.